Agram is a trick-taking game from West Africa for two to five players, being played mostly in Niger and Mali. Unlike most trick taking games, no score is kept, and only the last trick matters! The object of Agram is to win the last trick. Agram uses a special 35-card pack. 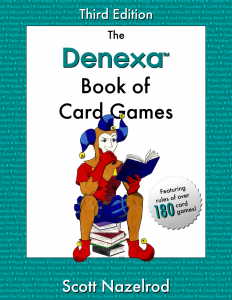 Starting from a deck of Denexa 100% Plastic Playing Cards, remove all face cards and twos, as well as the A♠. You will be left with a deck with 10–3 in all four suits, and the A♣, A♦, and A♥. Shuffle the deck and deal a batch of three cards to each player, then another batch of three, giving each player six cards in all. Aces rank high in Agram; they are the highest card in most of the suits, but, because the A♠ is absent, the 10♠ is the highest spade. The player to the dealer’s right leads to the first trick. Play thereafter continues to the right (counter-clockwise) through to the dealer. Each player must play a card of the suit led, if able; otherwise, they may play any card. After everyone has played a card, whoever played the highest card of the suit led wins the trick. The cards played are collected and discarded—they are now meaningless to the game play—and the player who won the trick leads to the next one. Game play continues in this way until the sixth and final trick. Whoever wins this trick wins the game. Our glossary of card terms has been updated and expanded! We now have definitions for 185 terms. If you haven’t checked it out yet, now is an excellent time to do so! Cuckoo is an interesting game where each player looks at their hand and decides whether or not to keep it—and if they choose not to, they take the hand of the player next to them. The object of Cuckoo is to avoid ending the hand with the lowest card. Cuckoo uses one standard 52-card deck of playing cards. 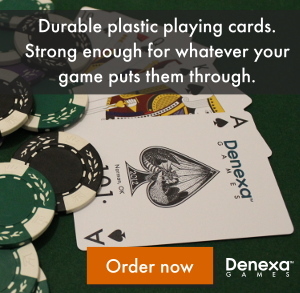 Naturally, the thing to do is to use Denexa 100% Plastic Playing Cards. Shuffle and deal one card to each player. Place the deck stub to the dealer’s left. You will also need a way to keep track of the players’ “lives”—some form of token, such as a poker chip, a bean, a coaster, etc. Give three life tokens to each player. Each player looks at their card and decides whether to keep it or give it away. The goal is to obtain the highest card possible (conventional card ranks apply, aces are low). The player to the left of the dealer plays first, with play proceeding to the left. If the player wishes to get rid of their card, they switch cards with the player to their left. The other player is obliged to complete the switch, unless they hold a king, in which case they may expose the king, and the trade is stopped. On the dealer’s turn, they may choose to discard their card; if they do, they may expose the top card of the deck. If it is a king, they return it to the top of the deck; otherwise, they make the switch. After everyone has either kept their card or switched, the cards are revealed. Whoever has the lowest card loses one life token. (If multiple players are tied for low, they all lose a life.) After this, the cards are collected and shuffled, new cards are dealt, and another hand is played. When a player loses all three life tokens, they are eliminated from the game. Play continues until there is only one player that has not been eliminated. That last player is the winner. In some cases, all of the active players will lose their final life on the same round due to ties; when this happens, the hand is ignored and a new hand is dealt. Sedma (from the Czech for “seven”) is an unusual trick-taking game from the Czech Republic. It can be played by two to four players, with four playing in partnerships. Sedma’s main draw is its strange method for determining the winner of a trick—rather than the highest card, the last card played of the same rank as the starter—or a seven, which serves as a quasi-trump card—takes the trick. The object of Sedma is to score the most points by collecting the most aces and tens. Sedma is traditionally played with a 32-card north German pack (which is normally used to play Skat), consisting of aces, kings, ober knaves, unter knaves, and number cards from the 10 down to the 7 in the suits of bells, acorns, leaves, and hearts. To make an equivalent deck from American cards, start with a deck of Denexa 100% Plastic Playing Cards and remove all of the 6s down to the 2s, leaving only 7s and above. For a three player game, remove two of the 8s as well. In the four-player game, two partnerships play against one another. Once partnerships have been decided (through mutual agreement or some random determination method like a high-card draw), players should be seated so that partners are across from one another and so that each player is seated between two opponents. Shuffle and deal four cards to each player. The deck stub is placed in the middle of the table, forming the stock. The player to the dealer’s left (i.e. the dealer’s opponent, in a two-player game) leads to the first trick by playing any card face up in the middle of the table. Play continues to the left, with each person playing any card they wish to the trick, with no obligation to follow suit or play any particular card. It is important for each player to place their card in such a way that the order of cards played and who played them remains identifiable. When all players have contributed, the player who led to the trick may either choose to continue it by playing another card of the same rank as the starter, continue it by playing a seven, or allow the trick to end. If they wish, they may even continue the trick for a third or fourth round (after which nobody will have any cards). When the trick ends, whoever most recently played either a seven or a card of the same rank as the starter wins the trick. The cards are collected by the player that wins them and placed face down in a won-cards pile (in the four-player game, one player from each partnership maintains their side’s win pile). After each trick, each player draws one card in turn from the stock, starting with the winner of the trick and proceeding clockwise, until all players have four cards once again. The winner of the last trick then leads to the next one. When the stock is exhausted, game play continues without drawing until the players’ hands are depleted, at which point the hand ends. Ten points for collecting the last trick. Whichever side or player collected the most points is the winner. If one player or partnership collected all 90 points available , it is a double win, and if one player or partnership captured all 32 cards, it is a triple win. If the game is being played for money, the losers pay the winner the agreed-upon stake (doubled or tripled for double and triple wins accordingly). Each hand may stand alone as its own game. If not being played for money, players may instead wish to score one, two, or three victory points for the winners and play to an agreed-upon win threshhold (e.g. ten victory points). 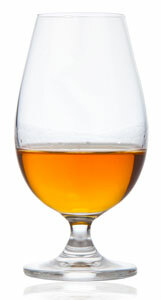 Photo credit: Bloostone at Wikimedia Commons (licensed Creative Commons Attribution 3.0). Cuttle is a two-player game that likely dates back to the 1970s. Characterized as one of the earliest “combat card games”, Cuttle has been cited as similar to Magic: The Gathering and similar proprietary card games. Cuttle has the interesting mechanic of most cards being able to be played with two different effects, depending on the context in which they’re played in. The object of Cuttle is to be the first player to have 21 points in point-scoring cards on your side of the table. Cuttle is played with one 52-card deck of playing cards. 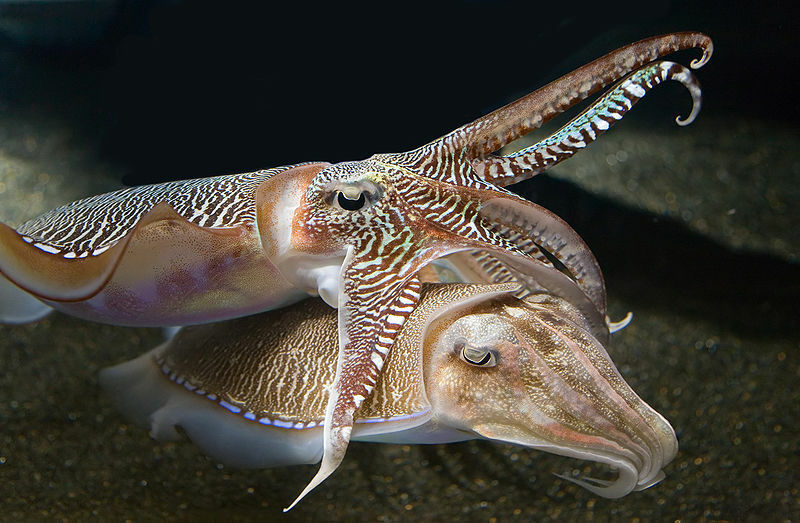 Despite the photo we chose for this post, Cuttle does not seem to have anything to do with cuttlefish, but if you insist on getting some involved in your game, you should probably use Denexa 100% Plastic Playing Cards, since they’re waterproof. Shuffle and deal five cards to each player, then one extra to the dealer. The deck stub is placed down in the center of the table, forming the stock. The area immediately next to it is reserved for discarded cards, referred to in Cuttle as the scrap pile. The ranks of cards are not of great importance in Cuttle, but they do come up when scuttling cards (see below). Numerical cards rank in their usual order, with the ace low; i.e. (high) 10, 9, 8, 7, 6, 5, 4, 3, 2, A (low). Face cards do not take part in any plays where rank is relevant. Suits break ties when cards have the same rank. Suits rank in the following order: (high) spades, hearts, diamonds, clubs (low). On a player’s turn, they have the option of playing any one card or drawing one card from the stock. Thereafter, the turn passes to the other player. Aces through tens can be played as a point card by simply placing them face-up in front of you. This scores points toward the 21 points required to win the game. Cards are worth their face value; aces are worth one point. They may also be played as a scuttle, which results in one of the opponent’s discards being placed in the scrap pile. To scuttle a card, you must play a card of higher rank (or of the same rank but higher suit), and as a result, both the scuttled card and the card played to scuttle it are scrapped. Most cards may also be played as effect cards, with each rank of card having a unique ability (the 10 cannot be played as an effect card). Most of these are “one-off” abilities, taking effect, and then being scrapped. However, the abilities of the 8, jack, queen, and king are persistent, with the card remaining on the table until they are removed through the use of some other effect card, or the game ends. Ace: All point cards on the table—yes, yours too—are scrapped. When an effect card other than an 8, jack, queen, or king is played by your opponent, you may play a two out of turn to block the effect. 3: Look through the discard pile and add any card of your choosing to your hand (other than the 3 that was played to trigger this effect). 4: Your opponent reveals two cards of their choice from their hand and scraps them. 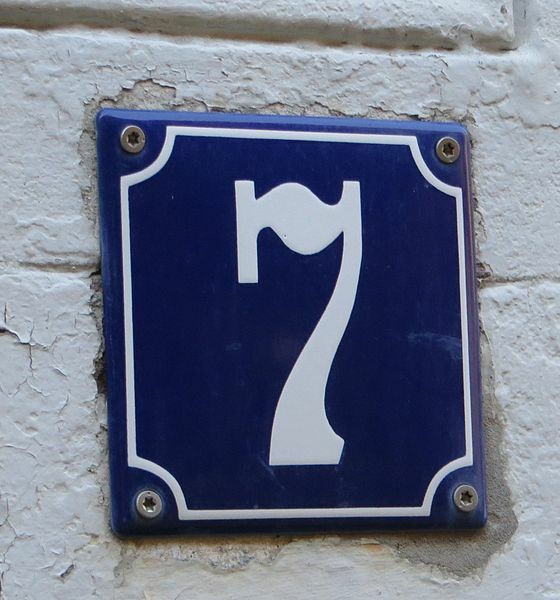 7: Draw one card and play it immediately. (Even if the only legal play helps your opponent!) If there is no legal play for the card, it is scrapped. 8 (persistent effect): To signify that this card is being played as an effect card, it is placed at right angles to the other cards on the table (this is sometimes called a glasses 8, since a sideways 8 looks somewhat like a pair of eyeglasses). The opponent must expose their entire hand and leave it visible as long as the 8 is on the table. 9: Return any one persistent effect card to the player’s hand. Jack (persistent effect): The jack is attached to any point card, and both cards are moved to the opposite side of the table (from your opponent to you or vice-versa). Each time a jack is added to or removed from a card, it switches sides again. Jacks are scrapped if the card they are attached to is also scrapped. Queen (persistent effect): Your opponent’s 2s, 9s, and jacks have no effect as long as this card remains on the table. 2s and 9s can be still be used against this card or any other queens, however. Game play continues until one player reaches 21 points (or whatever lowered threshold they are required to reach, due to kings in front of them) at the end of their turn. That player is the winner. In the event that the stock is depleted before the game has been decided, players have the option to pass. If three consecutive turns are passed, the game ends as a draw. Photo credit: David Iliff (licensed CC-BY-SA-3.0). Edited by Rainer Zenz.